Humanitarian organization Médecins sans frontières / Doctors Without Borders (MSF) / Lekari bez granica is starting a project of humanitarian medical assistance to the migrant population transiting through Serbia. Médecins sans frontières / Doctors Without Borders (MSF) / Lekari bez granica is an international humanitarian organization providing assistance to populations in distress, to victims of natural or man-made disasters and to victims of armed conflicts, irrespective of race, religion, creed or political convictions. 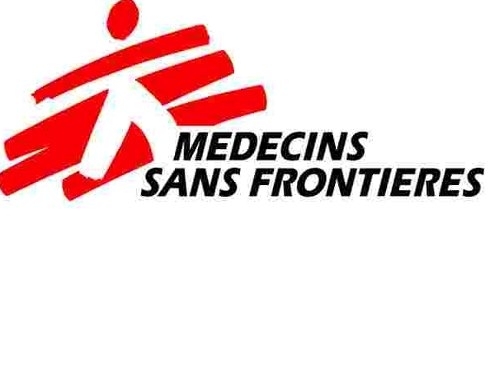 MSF observes neutrality and impartiality in the name of universal medical ethics and the right to humanitarian assistance and claims full and unhindered freedom in the exercise of its functions. Provide medical care to patients/beneficiaries according to adapted and updated medical knowledge, national protocols, values and universal hygiene standards in order to improve the patients' health conditions. - Carry out consultations, during outreach activities, prescribing the necessary treatment respecting national protocols. - Provide appropriate explanations about the treatment to follow, checking the beneficiaries’ understanding. - Refer the patients to the appropriate health facilities for further consultation by specialists and/or further medical examinations, when necessary. - Follow up the evolution of the referred patient to other health facilities, through visits to the health facilities and assure – in collaboration with the other doctors of the health facilities - the proper treatment and outcome of the referred patient. - Check and control the rational distribution of medicines and equipment under his/her responsibility and take care of the quality and disinfection of the medical material. - Assure general compliance with standing hygiene standards, personal protection of oneself and staff, and assuring proper medical waste management. - Participate in the collection and analysis of epidemiological data, checking its validity and informing the line manager about any problem or complication of the patients’ illness, medical error, referral procedure and outcomes. - Knows and ensures all MSF medical protocols are followed and implemented, checking universal precautions are followed at all times and reducing bio-hazard risks and improving infection control. - Ensures professional confidentiality is respected. - Manages the team under his/her direct responsibility according to MSF HR policies and procedures, supervising their performance, directly participating in emergencies and on calls if necessary. - Very good level of English and Serbian is essential. Knowledge of French, Arabic or Persian is an asset. If you are confident that you meet the above-mentioned requirements, please send your CV in English and all the supporting documents electronically, to msfocb-mitserbia-admin@brussels.msf.org. Please note that only short-listed candidates will be contacted for an interview. Provide nursing care, treatment and follow-up of patients, according to medical doctor’s prescriptions and protocols applied in service and universal hygiene standards/precautions, in order to ensure the quality and continuity of care for the targeted population. protocols and procedures in his/her working environment. - Organize and carry out care and treatments according to medical prescriptions, as well as assist them during consultations and other medical procedures. - Ensure patients are properly received. Ensures that patients with lack of autonomy are assisted. - Carry-out and supervise administrative procedures and documents (fill in patients files, forms, consumptions, statistics, etc. ), ensure an appropriate written/oral handover. - Triage of patients, detecting the priority acute/emergency cases, carrying out first aid care when necessary and referring them to the doctor. Facilitates the communication between beneficiaries and project staff and assists with beneficiaries’ referrals and follow up. - Interprets and mediates between the beneficiary (in his/her language into English and/or Serbian and vice versa) and the project staff and staff of health facilities and/or other actors, as needed. - Accompanies beneficiaries to referrals (to health and social care facilities) to facilitate interpretation and service provision. - Contacts beneficiaries to follow up on referrals. - Ensures that beneficiaries and migrant communities are well informed about services provided by MSF in the framework of the project, under the guidance of the team’s supervisors. - Informs project staff about important cultural and context specific nuances to consider during interaction with a beneficiary. - Adapts communication to any circumstances, using appropriate language registry as well as diplomatic and courtesy manners. - Translates MSF internal / external documents into beneficiaries’ language(s). - Ensures confidentiality and medical secrecy. Experience working with vulnerable populations is an asset. Teamwork, intercultural sensitivity and flexibility are essential. Perform the tasks of transporting authorized goods and passengers in an MSF vehicles (mobile clinic van and car), ensuring its technical and safety conditions and respecting the country’s traffic rules and MSF security rules in order to provide a safe, smooth and efficient service. - Daily check the technical conditions of the assigned vehicle and keeping it clean to ensure it can be driven in perfect conditions. - Ensure the security of passengers in the vehicle, driving carefully, observing speed limits and traffic rules in the country as well as MSF security rules in order to avoid car accidents. - Ensure correct loading and unloading of the vehicle. - logistic and/or the medical team and keeping track of the distributed goods. - Ensuring the privacy of the mobile clinic vehicle with basic crowd control technics. - Ensuring the safety of any movement related with referrals to hospital, clinic or health center, with the supervision of a member of the medical team. - Interpreting and mediating between MSF team and Serbian citizens, authorities, other actors as needed. - Adapt communication to any circumstances, using appropriate language registry as well as diplomatic and courtesy manners. Driving license - B category and excellent knowledge of country roads in Serbia. Driving license of D category is an asset. Essential 2 years minimum of previous driving experience. - Perform the mental health/psychological consultations with target groups. - Provide individual and group psychological counseling according to mental health protocols set in coordination level. - Support the work of the team. - Collaborate with Medical Health Activities Manager towards quality implementation of Mental Health Psychological Support activities in the project. - Take part in the set up and maintenance of a referral system with agencies to which beneficiaries can be referred for legal, social, psychiatric assistance. - Participate in the trainings to improve the own professional skills. - Identify, in collaboration with the supervisor, the key-persons in the area and MSF medical staff who can identify and refer people in need of psychological assistance/support. - Identify, in collaboration with supervisor, the agencies to which we can refer persons for medical, legal, social and psychiatric assistance. - Take part in the training of key-persons in the community and MSF medical staff to ensure a correct and efficient identification and referral of persons in need of psychological assistance. - Ensure good and regular contacts with the key-persons and partners. - Ensure a good follow-up, whenever possible, of the beneficiaries referred. - Take part in the ongoing evaluation of the referral system. - Sensitize beneficiaries on trauma and mental health issues. - Take part in the development of the sensitization strategy and tools to improve awareness on trauma and mental health issues among MSF Staff, beneficiaries and host community. - Take part in the training of key-persons to enable them to sensitize the beneficiaries on trauma and mental health. Završava se rekonstrukcija pirotske škole "Sveti Sava"